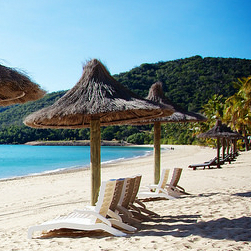 VroomVroomVroom can help you find affordable car rental in Airlie Beach so that you can explore the Whitsunday coast. We compare the best deals from top suppliers such as Avis, Europcar and Hertz. Airlie Beach is a town located in the Whitsunday Region of Queensland. The suburb has a population of about 2,751. Driving a hire car is the best way to explore the beautiful gateway to the Whitsundays. Visitors can also drive to Mackay and drop off their car hire there, provided they have made a one way booking on our site. All our five suppliers are located at the arrivals terminal of Mackay Airport so you see, our suppliers make every inch of your travel as convenient and comfortable as they can. Why rent a car in Airlie Beach with VroomVroomVroom? Simple to book: VroomVroomVroom has a user-friendly booking system that will save you time from trawling the web for options. Wide selection of cars: We have a huge list of efficient vehicles from the most notable car hire brands in Australia. Convenient depots: We offer car hire from several pick up depots in and near Airlie Beach. Trusted since 2001: We are the experts in rental cars. Contact us if you have any query or need assistance in booking a car hire in Airlie Beach. You may also leave us a message on Facebook and Twitter. Don't miss your chance to witness the amazing beauty of The Great Barrier Reef, just a short car hire drive from Airlie Beach. Avis, Europcar and Hertz have pickup depots at Shute Harbour Road. You may also collect your car hire from Proserpine Airport which is only 30 minutes car hire drive from Airlie Beach. Budget, Avis, Europcar and Hertz are conveniently located at the arrivals terminal. Airlie Beach is a town in Queensland. It is a wonderful place with many attractions that will catch your eye as soon as you arrive in a car hire. It has a tropical climate, so it is great for having fun and relaxing after you collect your car hire. It is a heavenly place with sandy beaches and an amazing landscape. It is located in the Whitsunday Region and is a departure point for The Great Barrier Reef. Although small, Airlie Beach looks great and has many clubs and pubs, an artificial lagoon and cruises, so you have many possibilities of having a great time while driving your car hire. The town is also near the Great Barrier Reef so drive your car hire and you will see wonders of the world right before your eyes. The Great Barrier Reef is the largest coral formation in the world and vising it, you will have the opportunity to find out new and interesting things about marine life. If you want to visit the Great Barrier Reef, move your car hire and join a tour. Scuba dive or visiting Pumpkin Island Eco Retreat and Bedarra Island are great ways of getting to know the area. For more fun things to do in Airlie Beach, check out our list of attractions below. Abell Point Marina is Queensland's gateway to Whitsundays 74 unique islands —proud of its breathtaking aquamarine waters— and to the Great Barrier Reef. 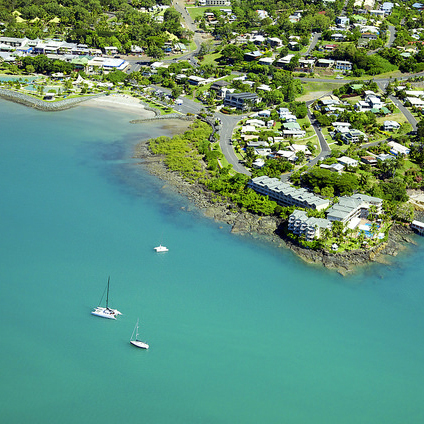 In Abell Point, you'll see North Queensland's largest marina that caters boats of all kinds. Abell Point Marina has access to all aquatic adventures such as diving tours, snorkeling, charter boat adventures directly from the World famous Airlie Beach. It is only about 25 minutes from the Proserpine Airport (Proserpine – reminds me of the Roman goddess) thus, making this remarkable place easily accessible to both interstate and international travelers. Aside from the view of the magnificent sea, Abell Point Marina has a Marina Village where you can find fantastic restaurants and cafes which is just a short walk from the resort accommodation and boutique shopping of Airlie Beach. Yellow Sub Half Day and Sub Adventure is the perfect activity for people who want to discover the beauty of Whitsunday Islands, see a fringing reef, and snorkel. All these activities in a half a day! Every Monday, Tuesday, Thursday, and Friday, you'll have the chance to get away from the crowd and visit the dazzling Bali Hai. Bali Hai is a small and uninhabited island with many spectacular beaches, remarkable coral formations, and a place full of tropical fishes and marine life. Upon arriving at Bali Hai, an unforgettable underwater experience awaits you in the famous Yellow Sub! The Yellow Sub is a semi-submersible with large viewing windows —you will not miss anything from the underwater paradise! The Great Barrier Reef is a part of the Whitsunday Islands. They are a group of 74 very beautiful islands. The name comes from the explorer James Cook. Cook was very impressed by their beauty and he called them “Whit Sunday”. Driving your car hire here, you can camp and sail, and you can also find great accommodation at Fantasea's Reefsleep and other great spots. You can watch Hamilton Island Race Week, a famous yachting race. Whitsunday Islands offer you other possibilities of having fun and relaxing at Daydream Island, South Molle , Hayman Island or Long Island. Daydream Island is only a small island at 1 km long, but what it lacks in size it makes up for in amazing views and a huge array of activities. They also have a rejuvenation spa and plenty of activities to keep the kids busy. Hamilton Island is a part of The Great Barrier Reef. Here, you will find an amazing number of restaurants, shops, resorts and hotels. The island has an airport and there are flights from Melbourne, Sydney, Brisbane and many other Australian cities. You can explore the island with a Resort Buggy Hire. To the south, you will find diverse vegetation. Ride to Paradise is the ultimate way to travel around the Whitsunday Islands. Wildcat is a brand new vessel boasting 600 horse power offering an exhilarating ride around the Whitsunday Islands. This vessel has been built for stability and speed. Perfect for travellers who are concerned about seasickness and don't want to sleep overnight on a boat, the fast vessel of Ride to Paradise allows passengers to arrive at the destinations quickly so more time for fun activities such as sunbathing, swimming and exploring. Major highlights of Ride to Paradise: 2 Day 2 Night Resort Stay Whitsundays include two nights in an exclusive resort, two days travelling the Whitsundays on a fast catamaran, Hill Inlet Lookout (swirling sand), Whitehaven Beach, comfortable beds at night, see the Whitsundays in comfort and style, freshly prepared meals and snacks, flexible schedule, and experienced fun crew. Thundercat boasting 600 horse power offers an exhilarating ride around the Whitsunday Islands. This brand new vessel has been designed and built for stability and speed so it's perfect for passengers who are concerned about seasickness. In addition, this is perfect for all travellers to the Whitsunday area including singles, couples, groups and families. Recommended age range from 4 years old to 60 years old. Some major highlights of Thundercat: 1 day Whitsundays trip include the following: Hill Inlet Lookout (swirling sand), two snorkels and two beaches, stable catamaran, snorkel fringing reefs, on-board toilet, free pickup, amazing lunch and fresh snacks, beautiful natural surroundings, experienced fun crew, ultimate comfort day out, and an adventure of a lifetime. If you want to see the best of The Whitsundays, Tongarra offers an onboard living and sailing experience that is hard to match. Tongarra is ideal for singles or groups and is geared towards the young, fun loving, adventurous backpacker (with a sense of humour). Their experienced crew are handpicked for their fun and friendly attitude and happily prepare top-quality meals on the BBQ. Tongarra has a reputation with their guests for being the ultimate fun backpacker experience. So grab your swimwear, iPod and camera and enjoy a few drinks while they show you around the Whitsunday Islands. Fabulous highlights of Tongarra Sailing Adventures: 2 day 2 night Whitsundays trip are Hill Inlet Lookout, plenty of deck space, warm shower, freshly prepared meals, sleep under the stars, stable catamaran (ideal passengers concerned about seasickness), flexible schedule, experienced fun crew, snorkel the best locations in the Whitsundays, Whitehaven Beach and loved within the backpacking community. See the absolute best Whitsunday region has to offer in a half day tour. Enjoy the incredible textures and colours of the Whitsunday Islands and the Great Barrier Reef Marine Park from the air, on the land and under the water. Tour time is approximately 4.5 hours. Flying time is about 1.5 hours. Included sights are Whitsunday Islands, Hill Inlet, Whitehaven Beach, Bait Reef, Hook Reef, Hardy Reef, Heart Reef. Included stops include Whitehaven Beach (Mid Beach), Great Barrier Reef (glass bottom boat in Hardy Lagoon). Some major highlights of Panorama tour include scenic flight over the Great Barrier Reef, Whitehaven Beach and Whitsunday Islands, two hours at Air Whitsunday's private glass-bottom boat, comprising one hour of coral viewing and relaxing and one hour of snorkelling in a private sheltered lagoon, one hour visit to Whitehaven Beach, all snorkelling equipment, snorkelling tuition and flotation devices for inexperienced snorkellers. Tour also includes Australian sparkling wine and 100% fruit juice, local spring water and an assortment of Australian brand snacks and treats. Are you ready for the ride of your life? Multi-award-winning Ocean Rafting visits the “Wild Side” of the Whitsunday Islands, the uninhabited islands with beautiful natural scenery brimming with marine, bird and animal life. There are two exciting tour options, the Northern Exposure and Southern Lights. Each Ocean Rafting day offers three days in one, including an exhilarating ride to Whitehaven Beachand Hill Inlet, pristine snorkelling reefs and guided Whitsunday Island National Parks walks. Ocean Rafting is the only tour to have direct access to the stunning and iconic Hill Inlet beach, and special snorkel sites at Hook Island and Border Island ensure a memorable underwater experience. The semi rigid inflatable vessels are super fast allowing guests to experience a fun ride, adventure and education amongst the natural beauty of the Whitsundays. 32 passengers at most allows for personal snorkelling lessons and the pleasure of a small group. A buffet style lunch is served at the beach with plenty of time to swim in the turquoise ocean or just relax on the silica white sand. Ocean Rafting has been operating since 1997 and is proud to have special permits allowing its vessels to visit protected areas in the Great Barrier Reef Marine Park. The Skipper and Eco Host will ensure guests have a fun filled adventure and personalised service with snorkel lessons and a guided National Park walk in the Whitsunday Islands. Tours depart from Abell Point Marina Northand courtesy coach pickups are included. Set in secluded gardens just 200 metres from the Airlie Beach lagoon, beach, shops and restaurants, you'll enjoy all the wonderful features of a resort with private balconies or patios (most with ocean or mountain views), sauna, swimming pool, gazebo and an outdoor entertainment area for guests to relax with a bbq or a game of pool at The Airlie Beach Motor Lodge. Great facilities include Motel Garden Suites, Self Contained Studios and Two Bedroom Townhouse Apartments. Most units at Airlie Beach Motor Lodge are self-contained and have their own DVD players, and all units have air conditioning, microwaves, tea and toast making facilities, including two laundries with washing machines and dryers. It also offers covered parking, wireless internet access, and certified Disabled Access Facilities. Situated just 750 metres from the town centre and easy walking distance to all the cafes, bars and restaurants in town, Colonial Palms Motor Inn offers some of the most affordable accommodation in beautiful Airlie Beach. Its tropical resort-style atmosphere along with expansive views of Boat haven Bay and Mandalay Point, make it an excellent place to relax and unwind whether you are on a business trip or taking a much needed holiday. Facilities and rooms offered at Colonial Palms Motor Inn include Poolside King Room, standard king room, one bedroom apartment, queen and single room, along with pool, spa, bar, restaurant and undercover parking. Located just a short 5 minute stroll from the south east end of the main street of Airlie Beach (on the way to the Cruise Whitsunday ferry terminal), step into Walter's Lounge for a taste of something amazing. Walter's Lounge offers delicious, freshly prepared food, outstanding cocktails and a hand picked boutique wine list can all be enjoyed whilst overlooking the beautiful Port of Airlie Marina. In addition, indoor and outdoor seating is available from which you are invited to explore our unique daily cocktail list and food specials. Situated in Queensland's stunning Whitsundays, where 74 tropical islands nestle behind the Great Barrier Reef, the Fish D'vine and Australia's original Rum Bar are an Airlie Beach institution and a favourite with both locals and visitors alike. Don't miss your chance to enjoy and indulge in the region's finest seasonal produce and a mouth-watering array of succulent seafood prepared fresh every day with your family. And don't worry if you've got a guest dining that doesn't enjoy ocean food, Fish D'vine got beef and vegetarian options too. Indeed, food at Fish D'vine and divine and their Rum Bar makes the best mojito's outside of Cuba! Feedback: Use your site regularly and always recommend. Easy to use and great deals. Feedback: could we have a map of the drop off location in Brisbane/Springwood pls? Feedback: Love this site! Always book our rentals through here, never had a problem, highly recommended! Feedback: Great web site and no fuss bookings!! !